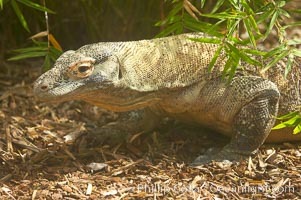 Komodo dragon, the worlds largest lizard, grows to 10 feet (3m) and over 500 pounds. They have an acute sense of smell and are notorious meat-eaters. 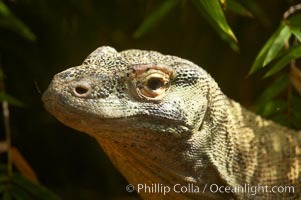 The saliva of the Komodo dragon is deadly, an adaptation to help it more quickly consume its prey. Komoda Monitor Lizard Photo. 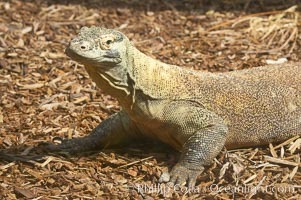 Komodo dragon, the worlds largest lizard, grows to 10 feet (3m) and over 500 pounds. They have an acute sense of smell and are notorious meat-eaters. The saliva of the Komodo dragon is deadly, an adaptation to help it more quickly consume its prey. Komoda Monitor Lizard Picture. Komodo dragon, the worlds largest lizard, grows to 10 feet (3m) and over 500 pounds. They have an acute sense of smell and are notorious meat-eaters. The saliva of the Komodo dragon is deadly, an adaptation to help it more quickly consume its prey. 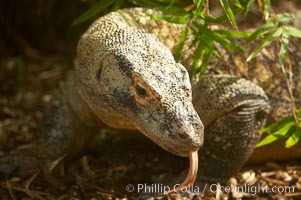 Stock Photography of Komoda Monitor Lizard. Komodo dragon, the worlds largest lizard, grows to 10 feet (3m) and over 500 pounds. They have an acute sense of smell and are notorious meat-eaters. The saliva of the Komodo dragon is deadly, an adaptation to help it more quickly consume its prey. Photograph of Komoda Monitor Lizard.